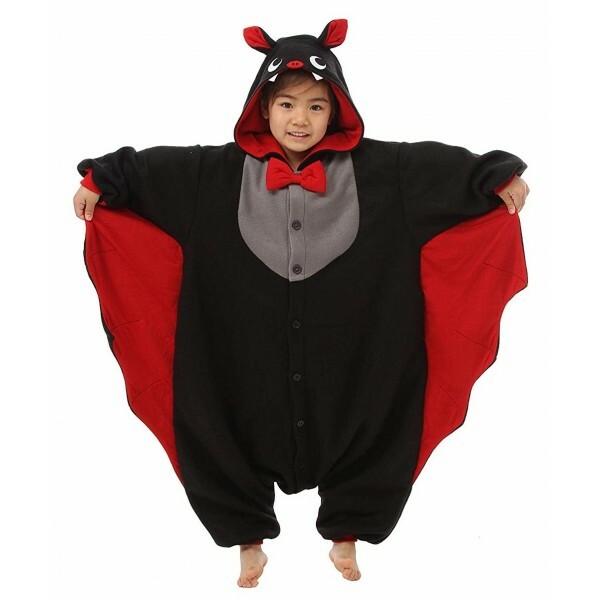 Go batty with this soft and cuddly kigurumi from Sazac! 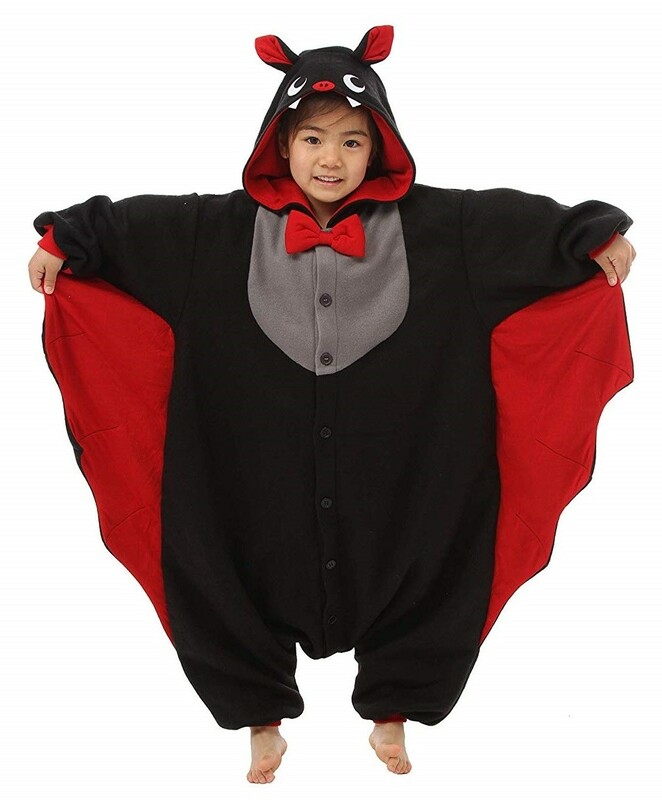 This bat kigurumi is a combination of costume and loungewear, so it's great for dress-up occasions or for hanging out at home. The 100% polyester fleece is warm and cozy, and kids will love being able to "spread their wings." This costume comes in two sizes, one to fit ages 2 to 5 and one to fit ages 5 to 9. For more fun and empowering costumes for all ages, visit our Costumes / Dress-Up Collection.